The zombies are coming … again. So, we’ve got a vague “spring 2013” release date, promises that the Plants Vs Zombies sequel will expand on its predecessor and not much else. With many developers we’d be concerned that this lack of concrete details indicates delays in the game’s production process, but the firm still has at least half a year to put this thing together, and let’s be honest, when it comes to the company responsible for Peggle, Bejeweled and a number of other games our mothers are unable to delete from their iPhones, we’re willing to extend the benefit of the doubt. Now, granted, taken by itself the above chunk of text is baffling gibberish, but it should serve to reassure fans that Plants Vs Zombies 2 — or whatever PopCap eventually ends up titling this thing — will exhibit the same wacky sense of humor as its predecessor. Yes, the tight, well-balanced strategy gameplay of Plants Vs Zombies and its surprisingly large offering of playable content have always been the key selling points for the game, but it wouldn’t really be a Plants Vs Zombies title without the undead scrawling borderline-legible notes to players in an effort to get just a bit closer to their delicious brains, now would it? 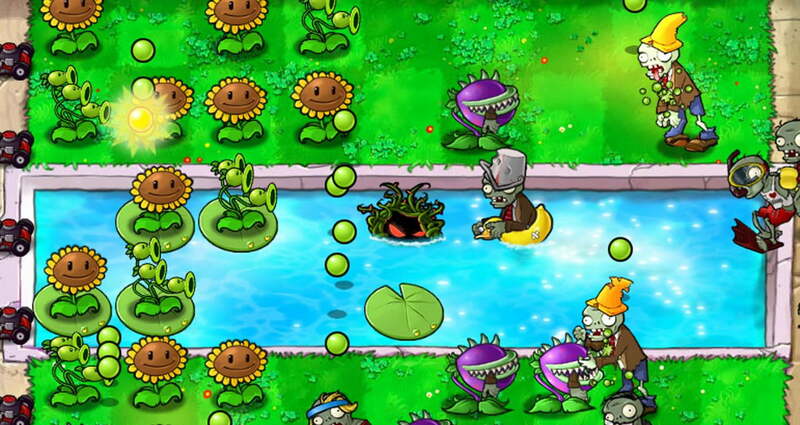 Oh, and while we’re on the topic, expect to see Plants Vs Zombies 2 on basically every gaming platform in existence. We have no official word on what platforms PopCap hopes to support, but since it’s nearly impossible to find a modern computing device of any kind that doesn’t offer a Plants Vs Zombies port, we’d be stunned if the company didn’t also attempt to maximize the potential exposure of its new Plants Vs Zombies sequel.